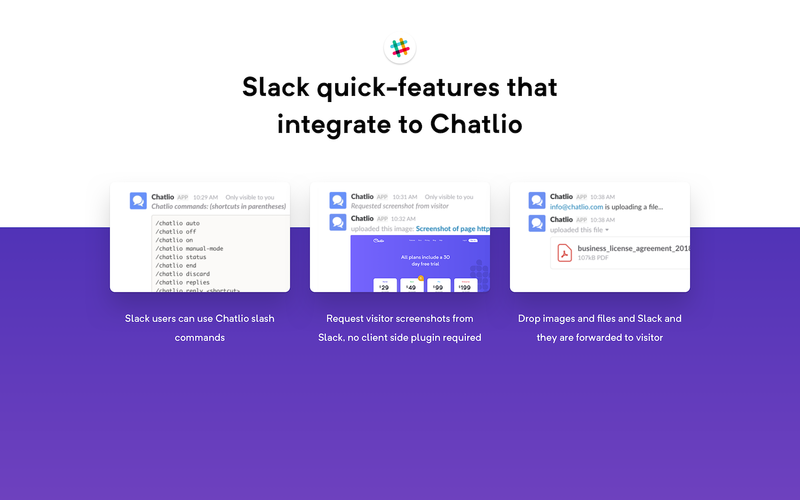 Chatlio is the first and best app to let you talk to your website visitors and users directly from Slack. Setup takes less than 1 minute and provides you with a chat widget to put anywhere you want on your site. Visitors to your site then can instantly chat with you about pre-sales questions, support issues, etc. while you and your team respond directly from Slack without any additional tools to install or use. 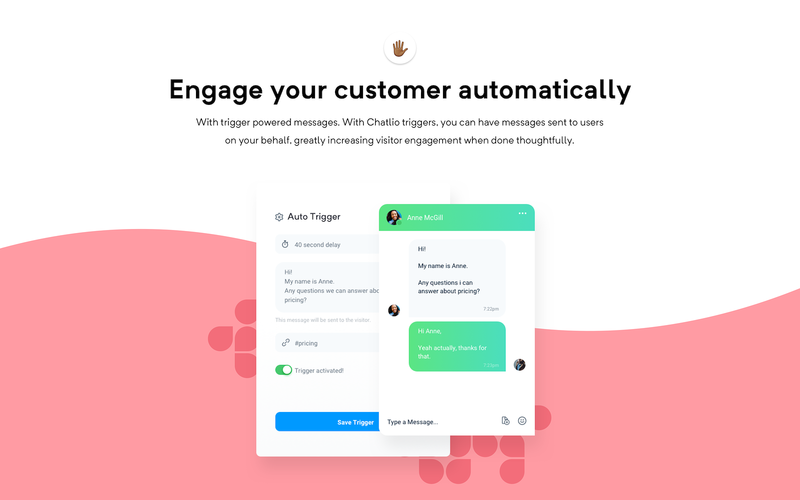 There are many other features, like automatically trigger messages to visitors based on the page(s) they are on.Chatlio provides the same great experience you already know from Slack. Features include typing indicators, emojis, code block highlighting, requesting screenshots, identifying your visitors location, browser, and any other custom details about your visitors you provide like email, name, etc. and many, many more. Chatlio will be able to confirm your Slack identity on your workspace. Chatlio will be able to modify information about your public channels, including name and purpose, as well as archive and create new ones. Chatlio will be able to view your Slack avatar on your workspace. Chatlio will be able to view your user id number, full name, and workspace id number on your workspace. Chatlio will be able to view your email address on your workspace. Chatlio will be able to view your Slack workspace name, domain, and icon. 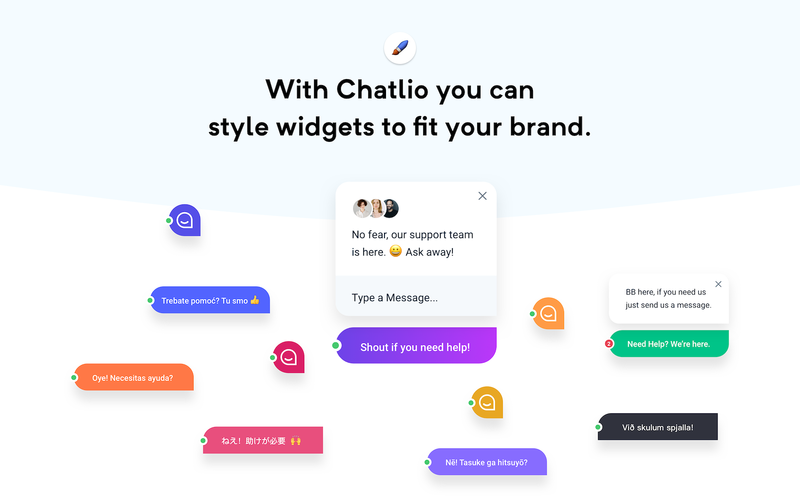 Chatlio will be able to send messages to your workspace. 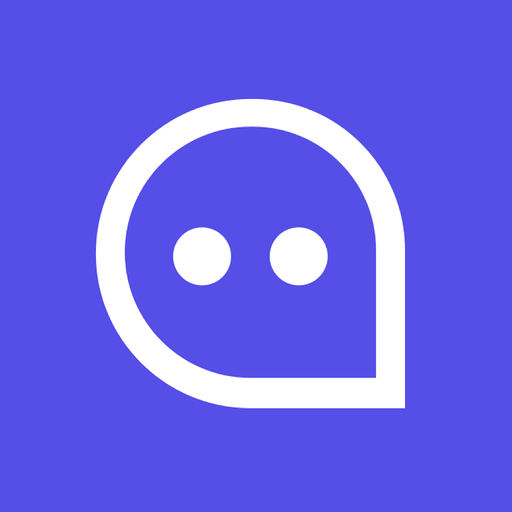 Chatlio will be able to access basic information about your private channels (including names, topics, purposes, creation date, and latest message). Chatlio will be able to modify information about your private channels, including name and purpose, as well as archive and create new ones. Chatlio will be able to view the email addresses of your Slack workspace’s members. 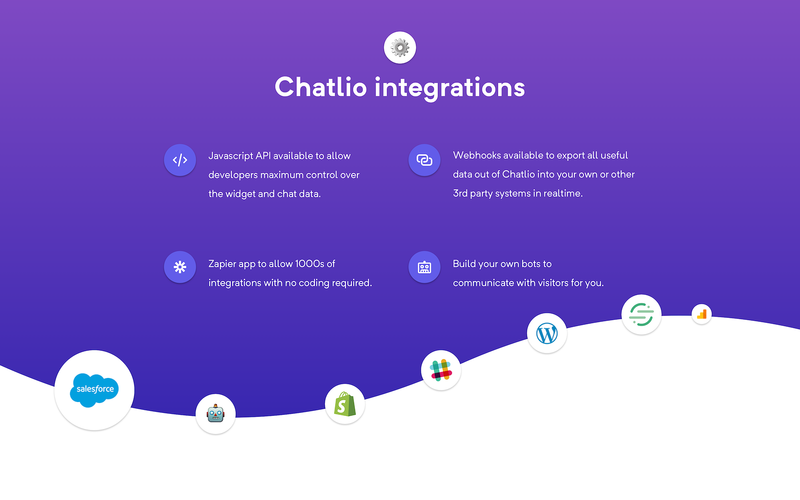 Chatlio will be able to install a bot user that appears in and has access to your workspace’s directory. It can also post messages and view activity on messages in any channel it is invited to. Chatlio will be able to access any messages and activity you can see in public channels. Chatlio will be able to upload files, as well as add, edit, and delete file comments on your behalf. 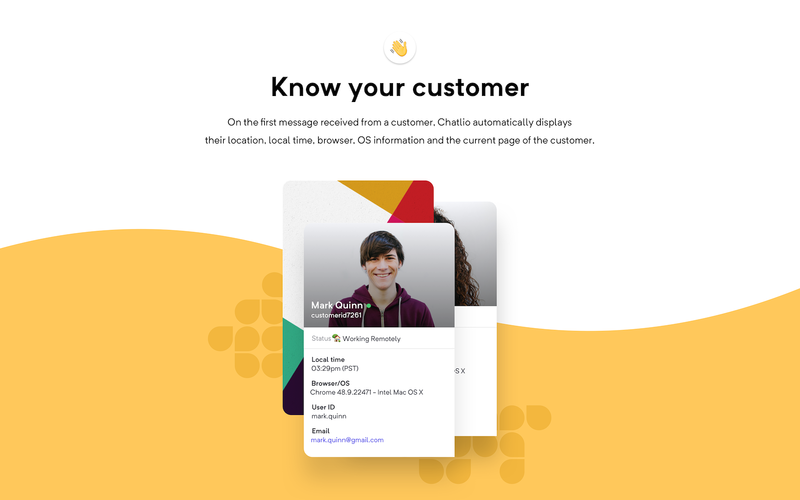 Chatlio will be able to access profile information for all users on your workspace, including names and contact information. Chatlio will be able to access any messages and activity you can see in private channels. 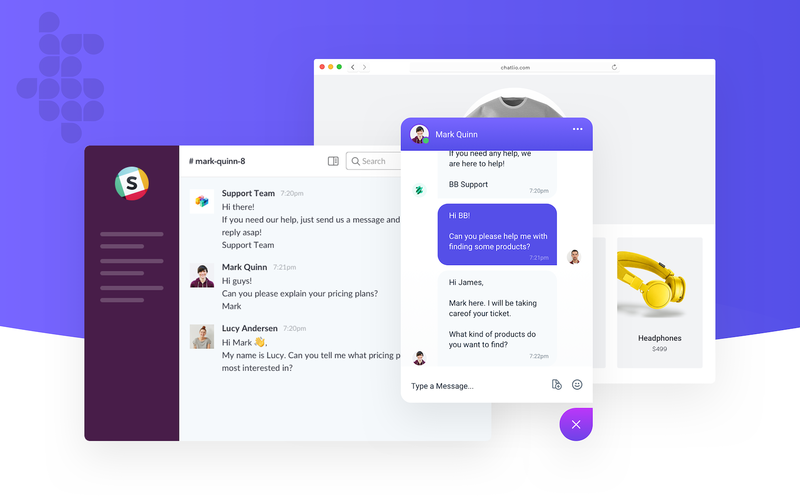 Chatlio will be able to send messages on your behalf to your workspace.